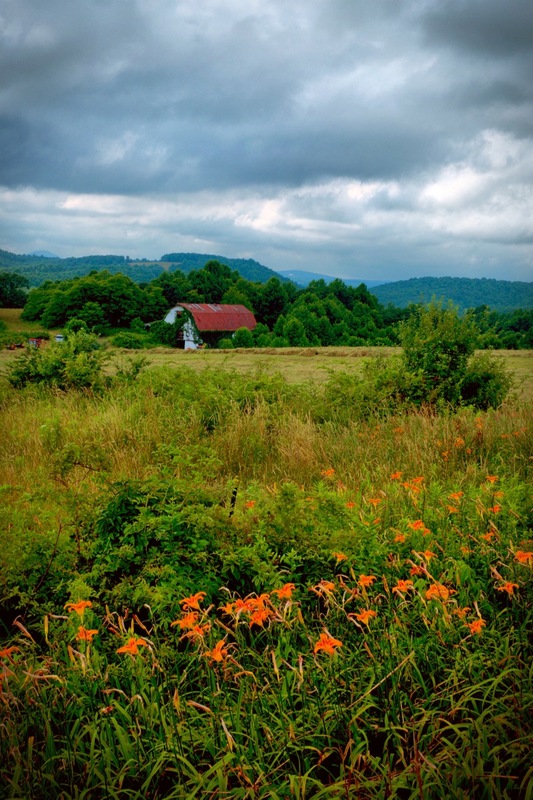 For years, on my way “up the mountain” I have driven by this pastoral farm scene, just above 3000 feet in the Blue Ridge Mountains of Virginia. I usually stop across the road next to a Farmer’s Market, and inspect “the view” of the barn, the surrounding fields, the ridge line behind, and most importantly … the sky. It’s become one of my “favorite places” to make a photo of the region. Last week with my wife Barb riding along, about a mile from the location, I said “I bet those orange flowers will be in bloom by the roadside and that should make for a nice photo.” I was right. What I had not predicted, however, was how nice the sky would look. I felt really good when I got home and downloaded my photos from our day on the mountain, and saw that once again, my favorite place did not disappoint.